Feels like it has been a really long time since my last post. Between the sick kiddos and then myself and the Hubs getting sick (Isn’t that how it always works), oh and then my internet service being unreliable for the past week meaning it only seems to work from 10 o’clock at night to 5 am in the morning, I haven’t got anything done. I was happy today to be able to vacuum my house, and dabble a bit in the backyard. 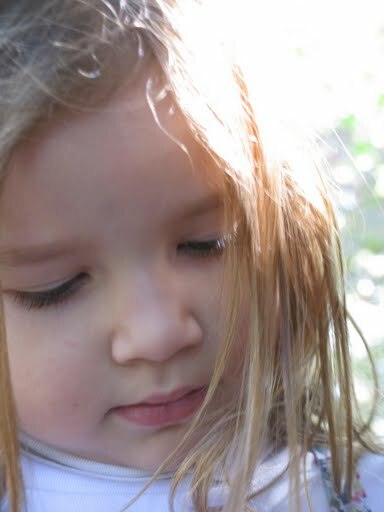 The kids still have snotty noses, but I pushed them out in the sunshine anyway since it was such a BEEEEAAUTIFUL day! And no Mom, I didn’t forget to put sunscreen on them… Where was this concern when my sister, brother, and I were kids?? I’m pretty sure you neglected to put the sunscreen on us and we sunburnt ourselves to blisters on quite a few occasions. That’s second degree people. And I’m also pretty sure we were still told to go outside and play, blisters and all. 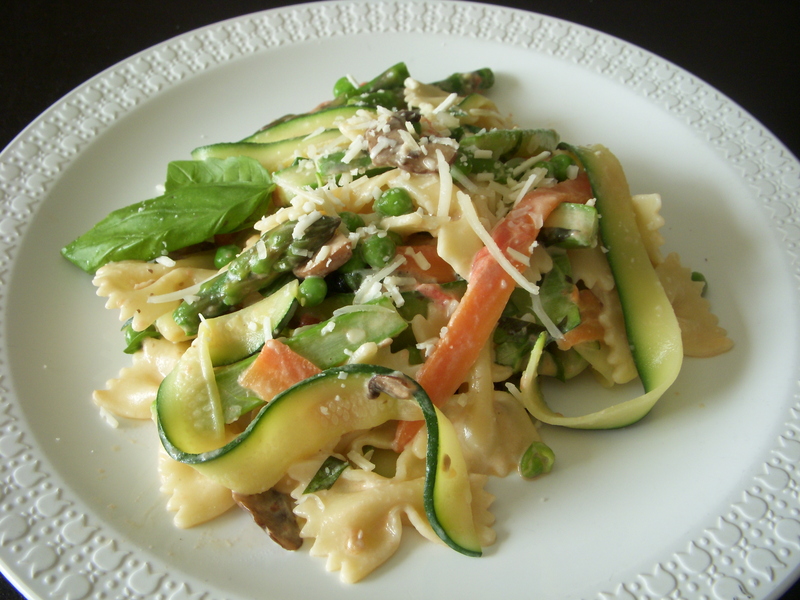 Nothing celebrates spring like a bright plate of pasta chock full of veggies. 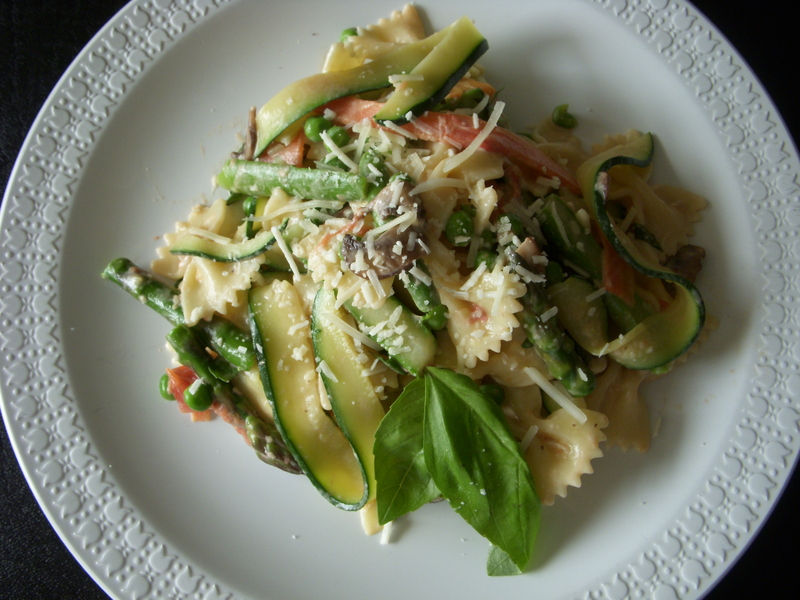 I find myself craving this every year as the fields turn bright green with new foliage. It always makes me think of my friend Trina, and trips to Alexander Valley for wine tasting. Oh, the days when I didn’t have kids… OK, enough with the daydreaming. At least there’s still the primavera. PS: T- I miss your little water-tower house! 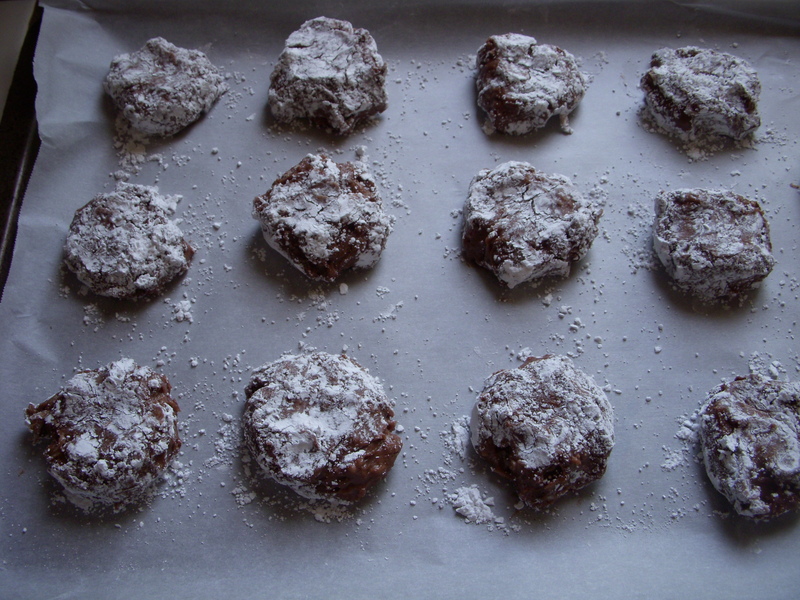 This will make enough for 6-8 entrée sized servings, so beware! 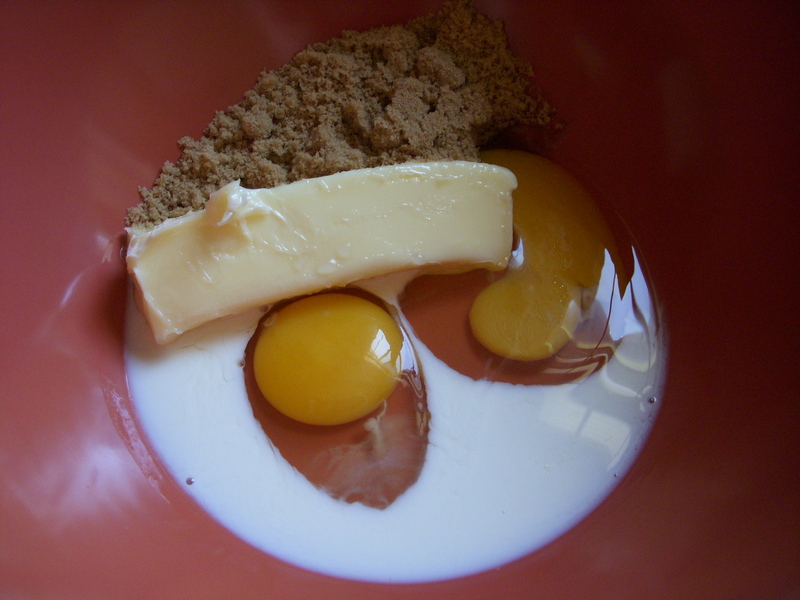 You can always cut the recipe in half. 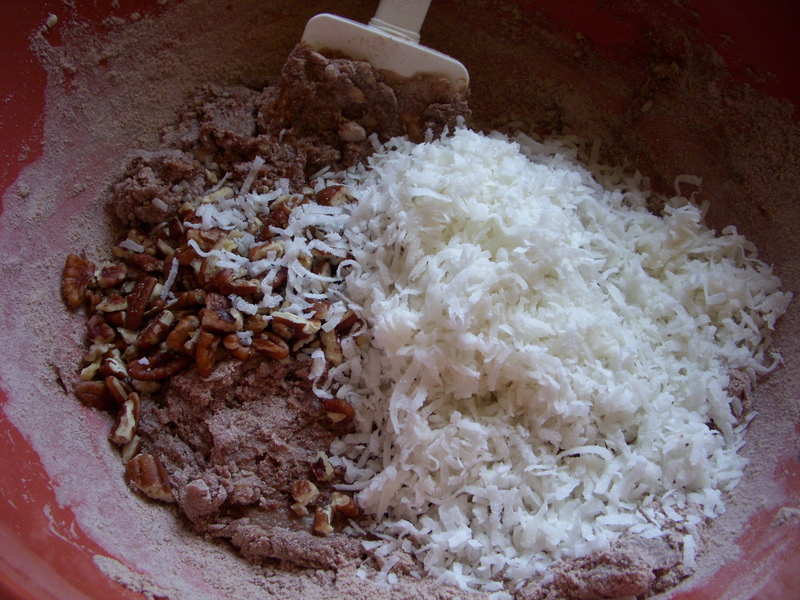 Put two pots on the stove with 3-4 quarts of water and 1 tbsp of salt in each. Start prep work while bringing the water to a boil. 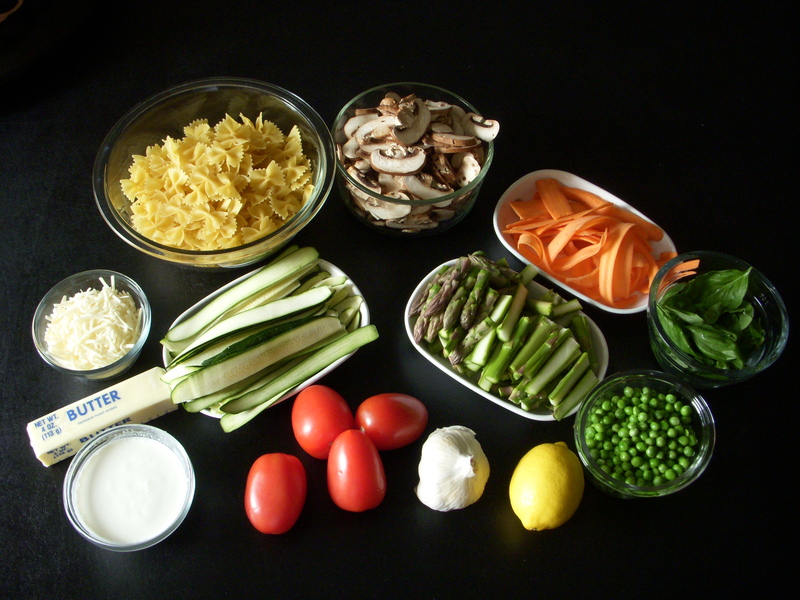 I cut up the vegetables in a specific way to speed up the cooking process. 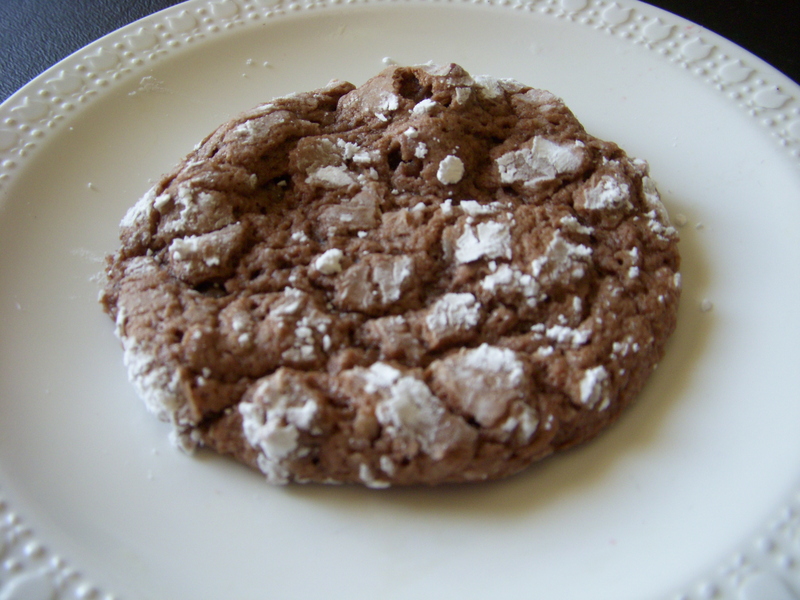 Be sure to keep them separated since they are initially cooked separately. 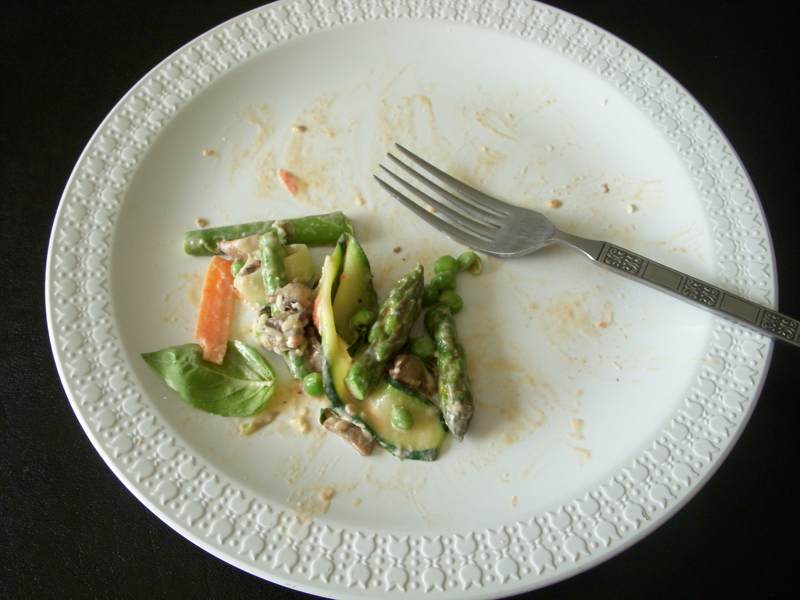 Start with the asparagus. 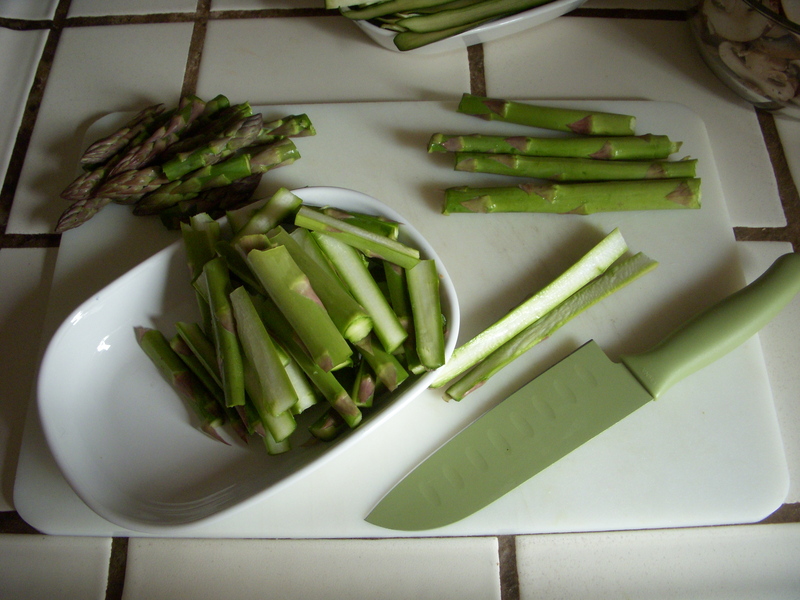 I cut two inches of the tips off, then slice in half lengthwise along the remaining stalk, and in half again as shown in the picture below. 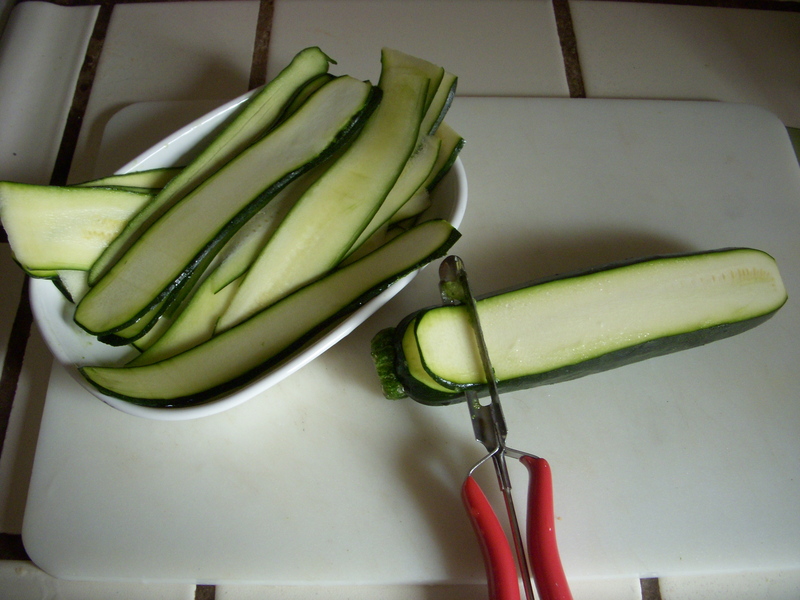 As for the zucchini and carrots, take a peeler and press down a little while making your peeling motion in order to get a slightly thicker peel. 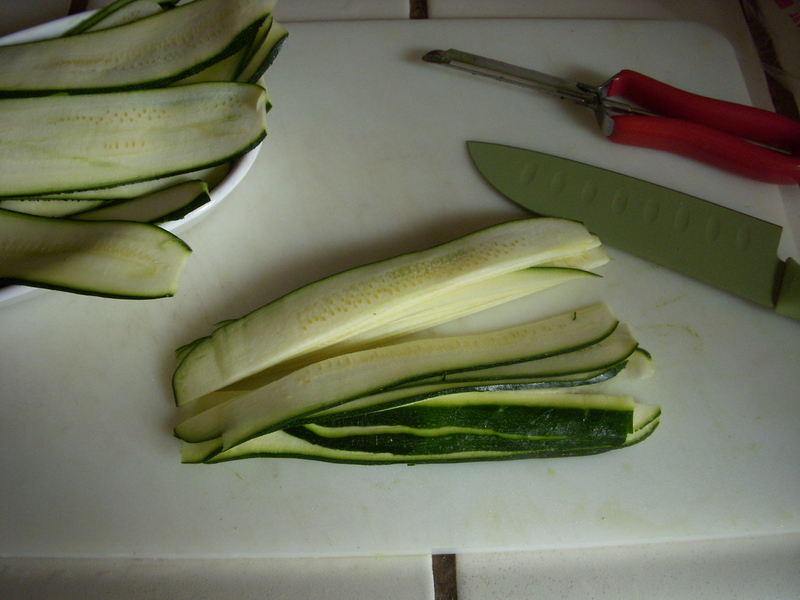 Then stack up the peeled strips and cut them in half lengthwise. If you buy whole mushrooms, slice them!!! 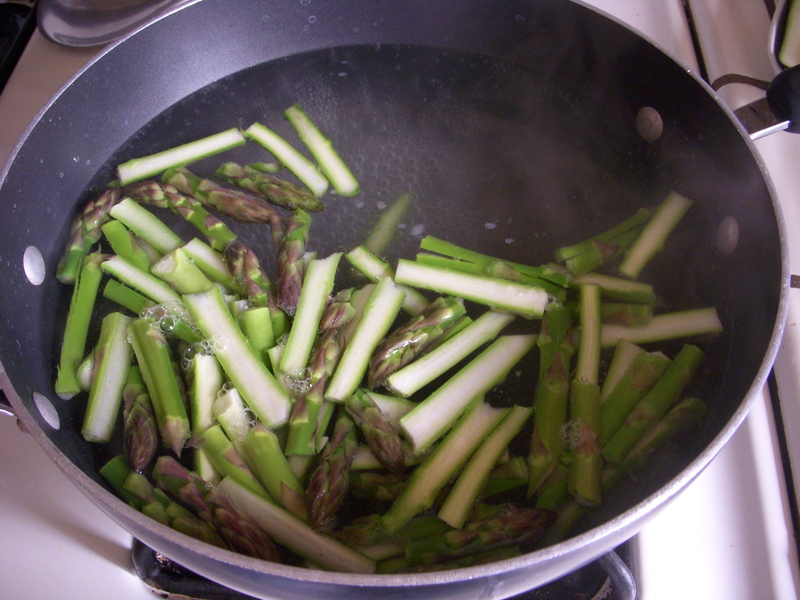 Once your water is boiling, drop in the asparagus and boil for 45-60 seconds. 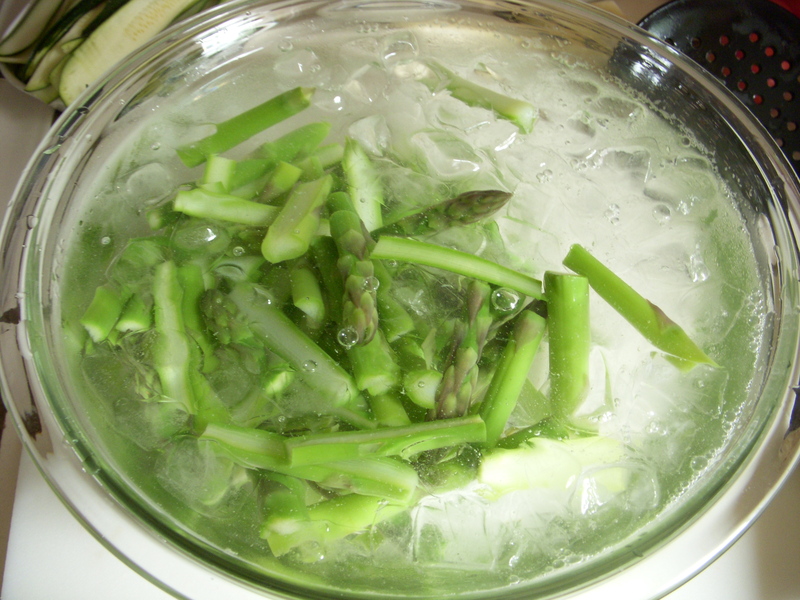 Then remove using a slotted spoon and plunge immediately into the bowl of ice water to stop the cooking process. Ta-dow. 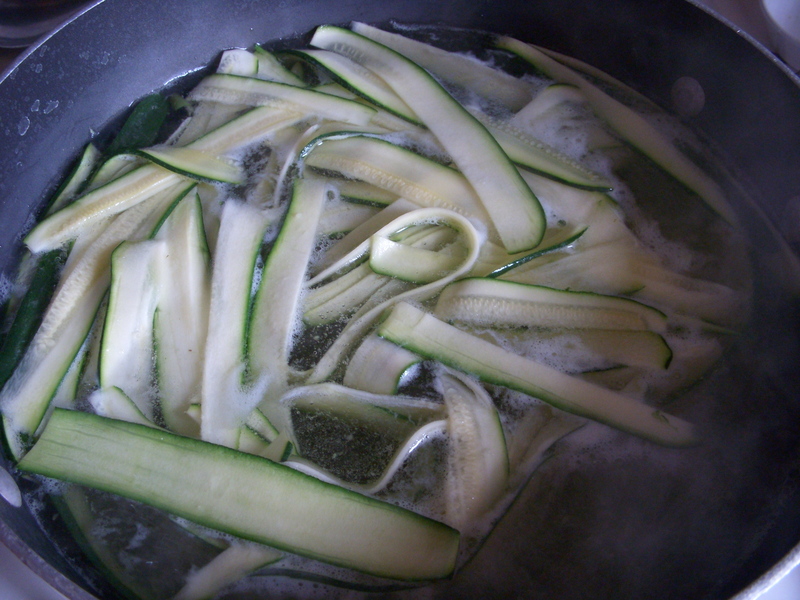 Once it’s cooled down (about a minute) remove from the cold water with a slotted spoon (you’ll need the water for cooling down the other cooked veggies) and put into a colander to finish draining. 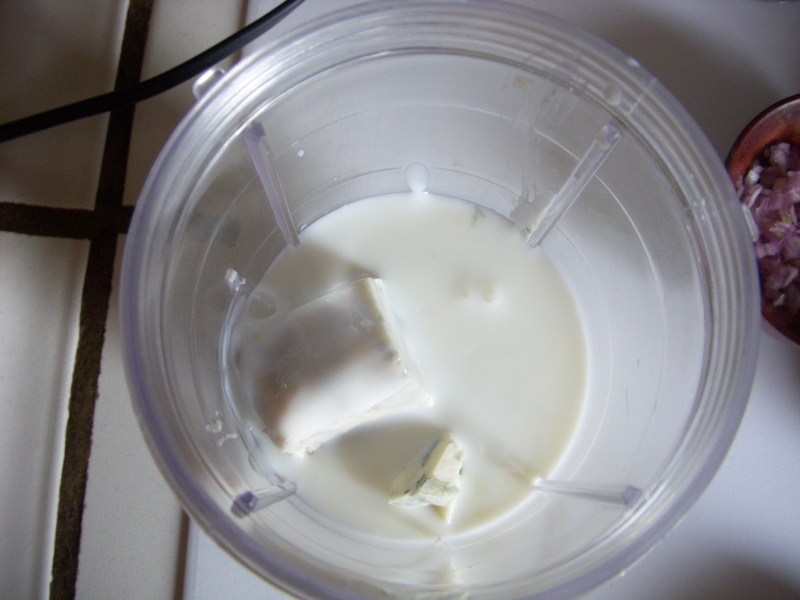 then plunge into the ice water, repeating the cooling down and then draining process. 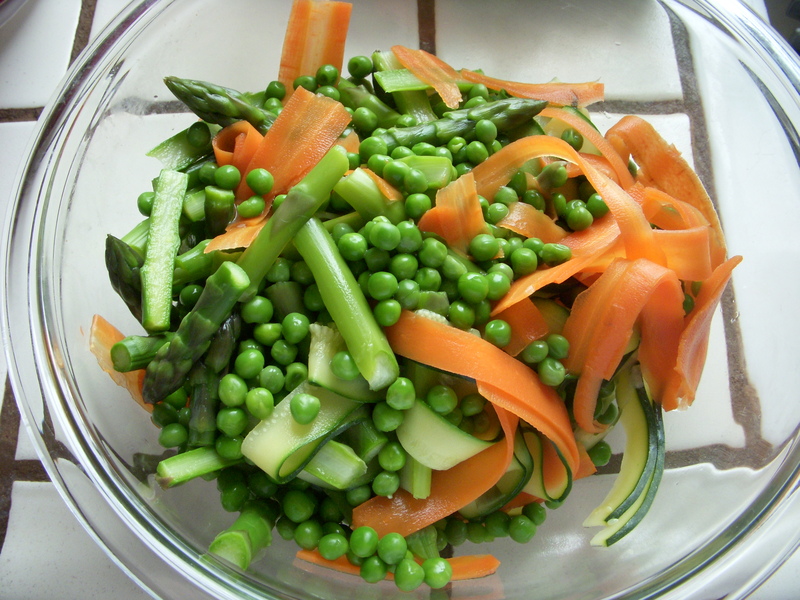 Next are the peas for 30 seconds, remove, cool-down and drain, and then the carrots for 1-1/2 to 2 minutes. 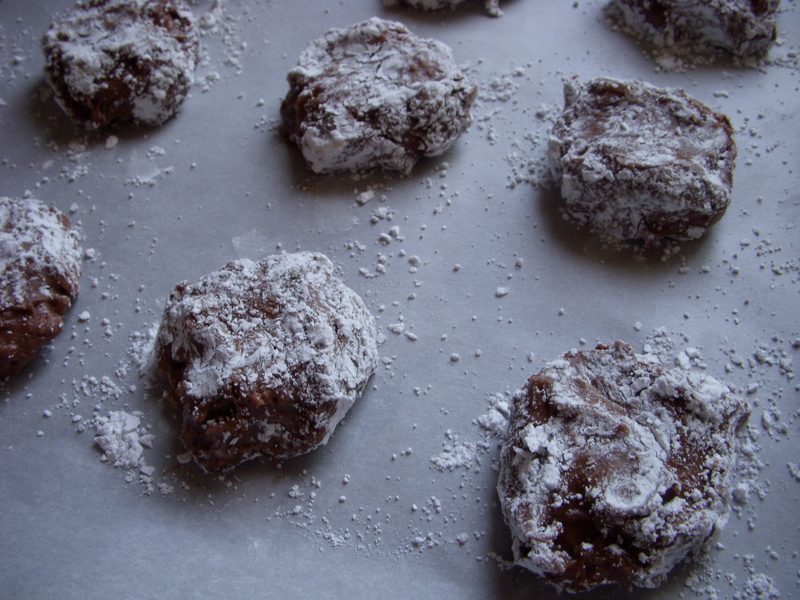 I bet you can guess how you cool these down. Once all veggies are cooled and drained, you should end up with a big and beautiful bowl of color. Take a look! The skins should slide off pretty easily. 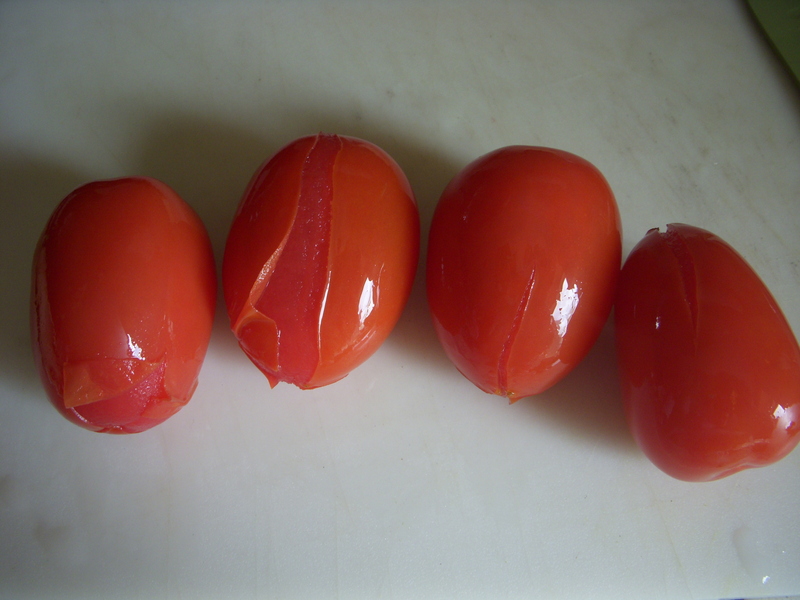 Use the peeler on any stubborn pieces of tomato skin. 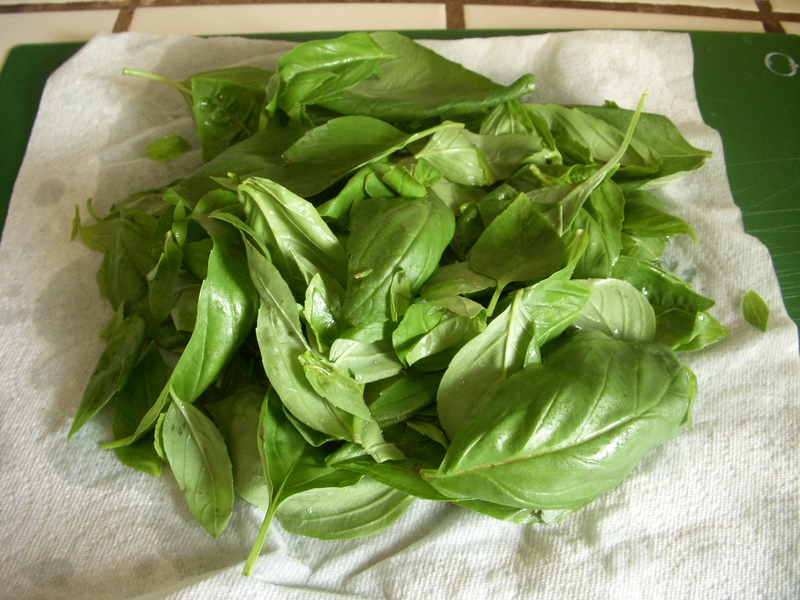 Now cut out the stem and chop them up. Now is the time to cook your pasta. 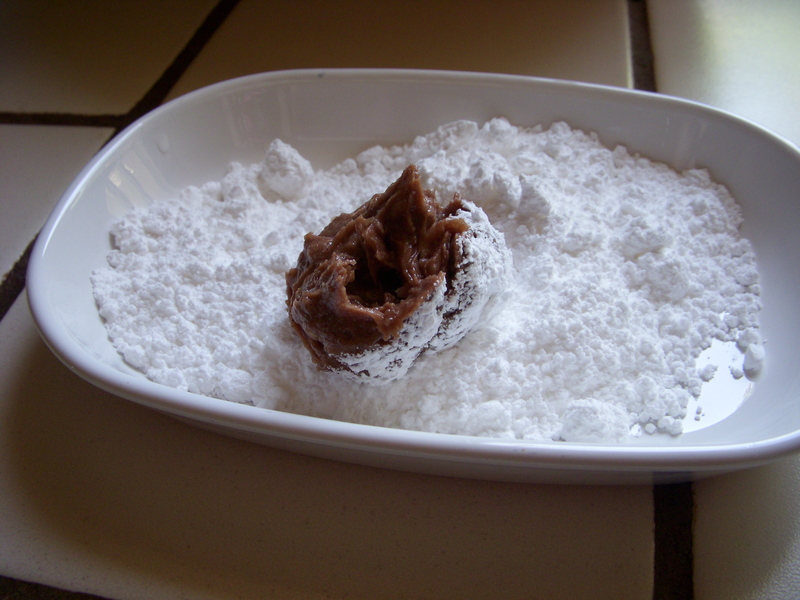 Pour it into the second pot of boiling water and stir to prevent sticking. You can finally dump out that boiling veggie water from your first pot, and rinse it out since we’re going to use it to make the sauce while the pasta is boiling. Yep, we’re only using two pots to make primavera. How great is that! 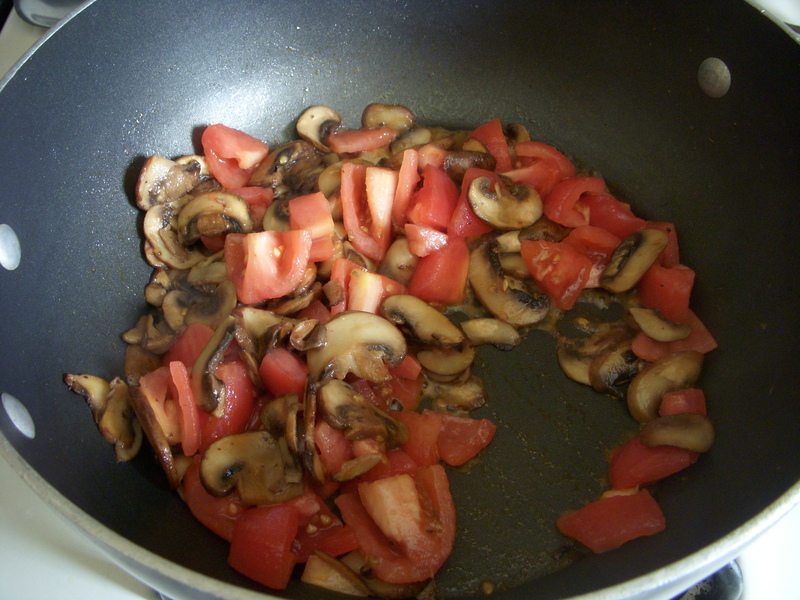 Put 3 tbsp of butter into the dry pan and saute your mushrooms until lightly browned. Add in the chopped tomatoes. 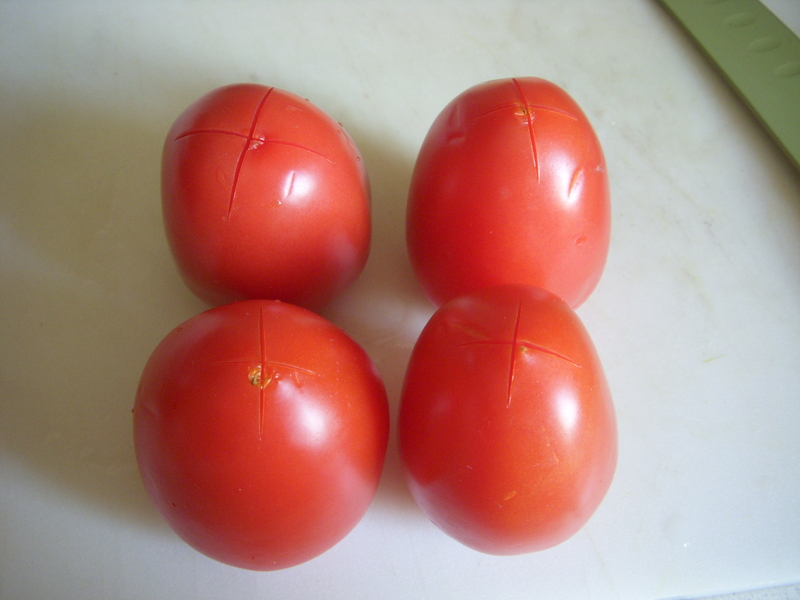 Cook until the tomatoes start to break up about 8-10 minutes. Check you pasta. If it’s done, drain and set it aside. If not quite done, continue to boil. 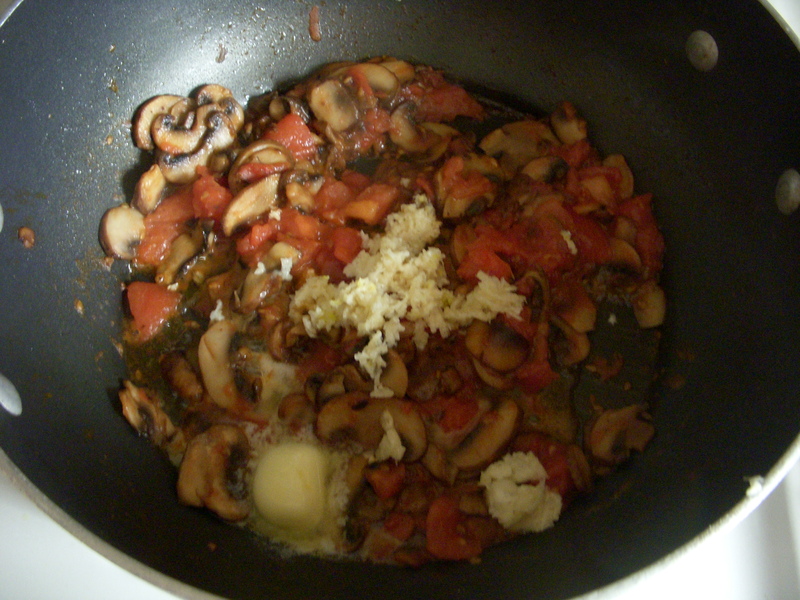 Add in the last tbsp of butter and your garlic to the mushroom mixture. 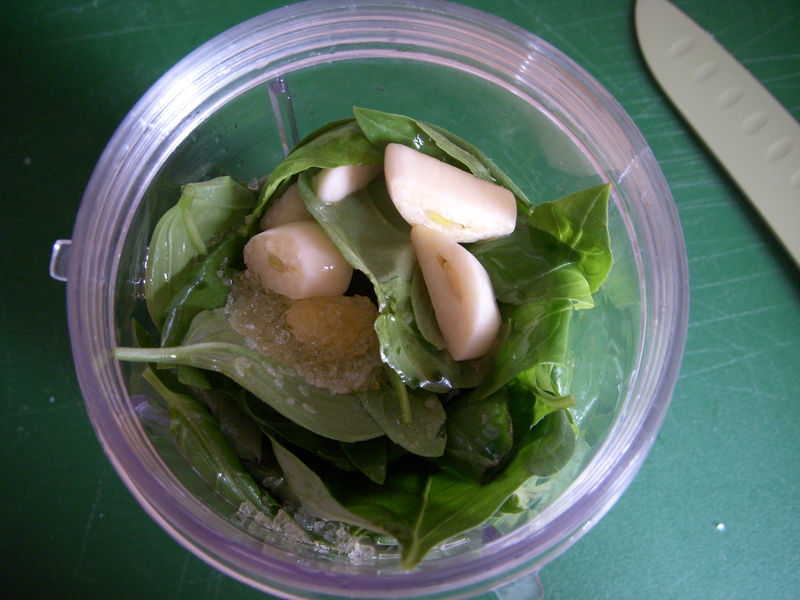 Cook until the garlic has mellowed, approximately 3 minutes. Turn down the heat to low, then add in the cream and half of the parmesan cheese (Save the rest of your cheese for sprinkling on top!) 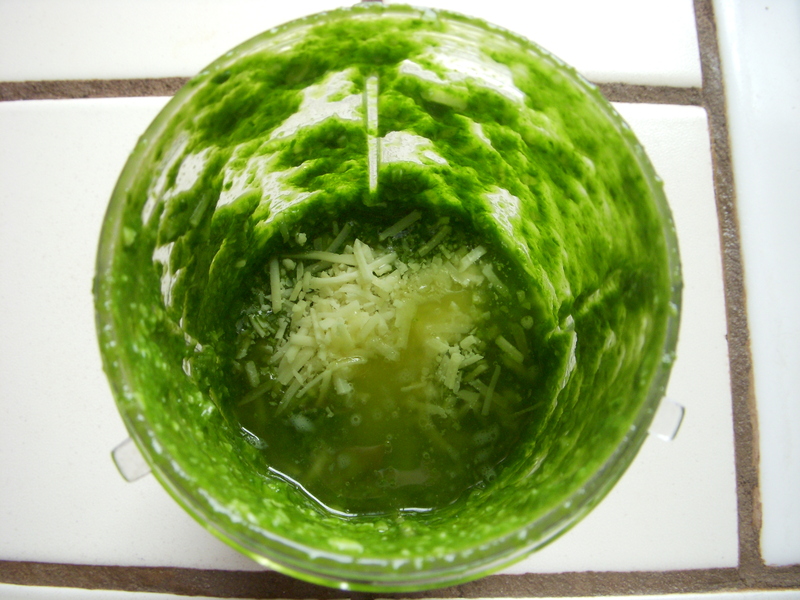 and stir until the cheese has melted and blended in with the sauce. 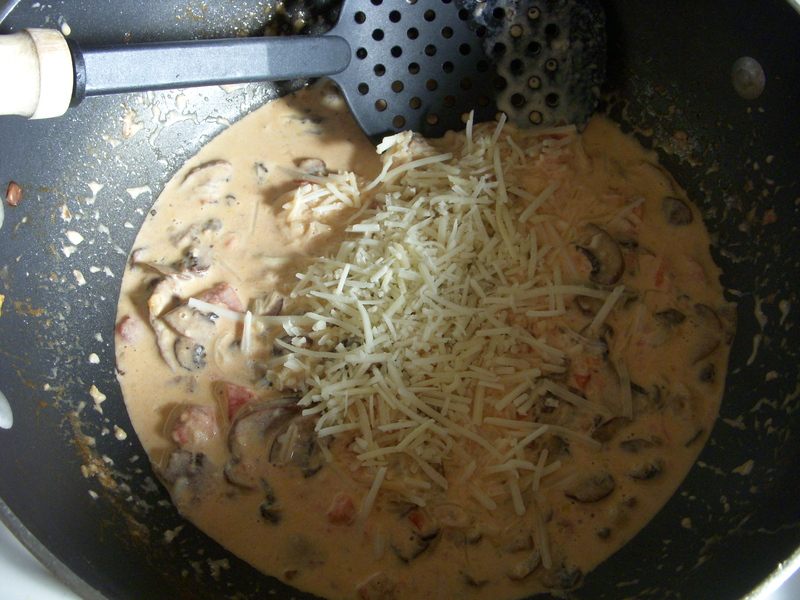 Simmer for an additional 3 minutes stirring until the sauce has slightly thickened. Set aside off of the heat until your pasta is done. 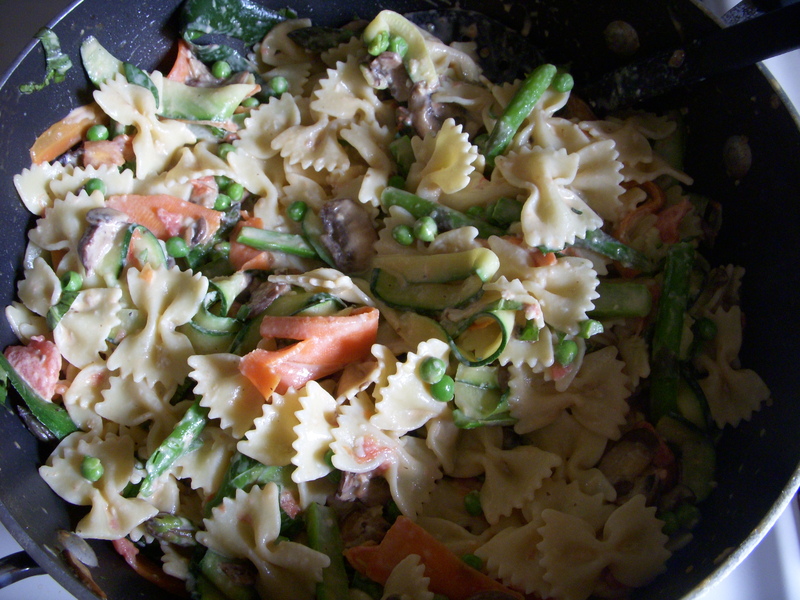 Pour drained pasta and veggies into the sauce and stir until completely combined. 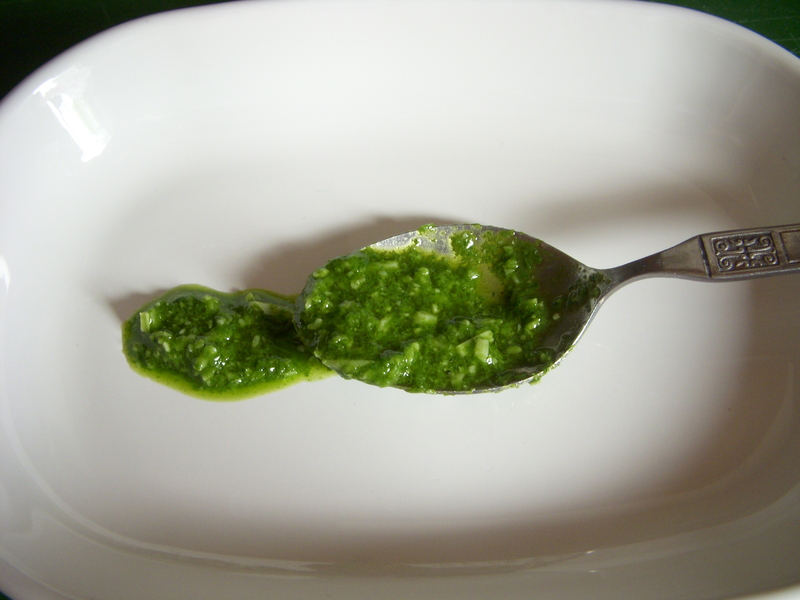 Stir in basil and lemon juice and serve! Of course I sprinkle mine with more cheese due to my dairy addiction. Cut to 3 minutes later. 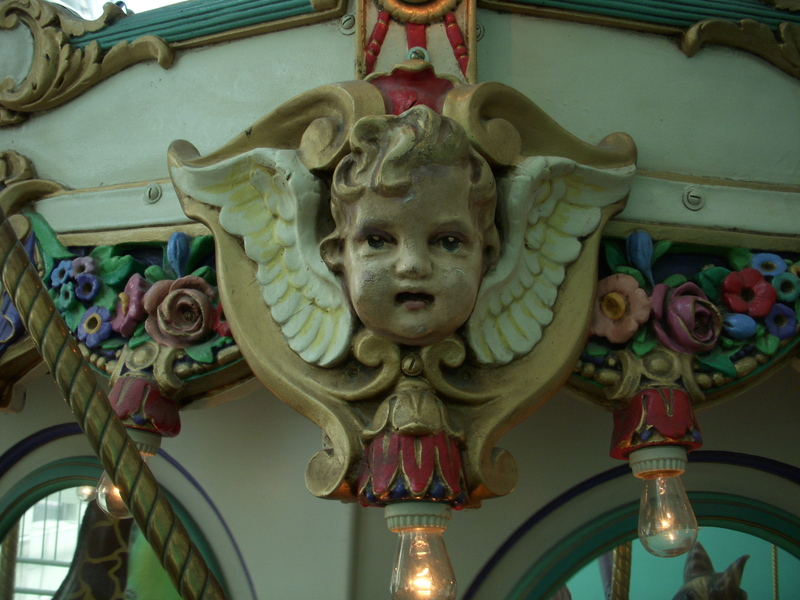 I love the creepy feeling I get from an old, chipped, squeeky carousel. Insert evil laugh here. 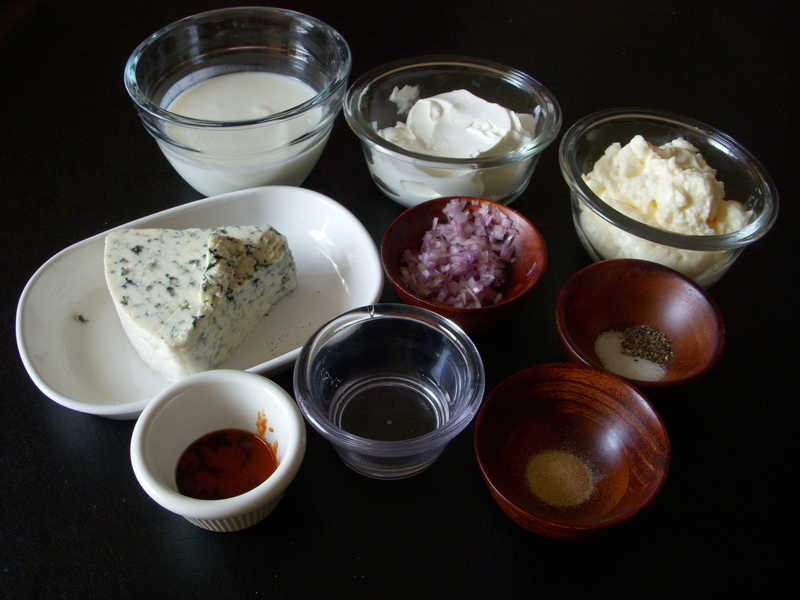 Not that sweet generic taste, not watered down, not just blue cheese and mayonnaise. 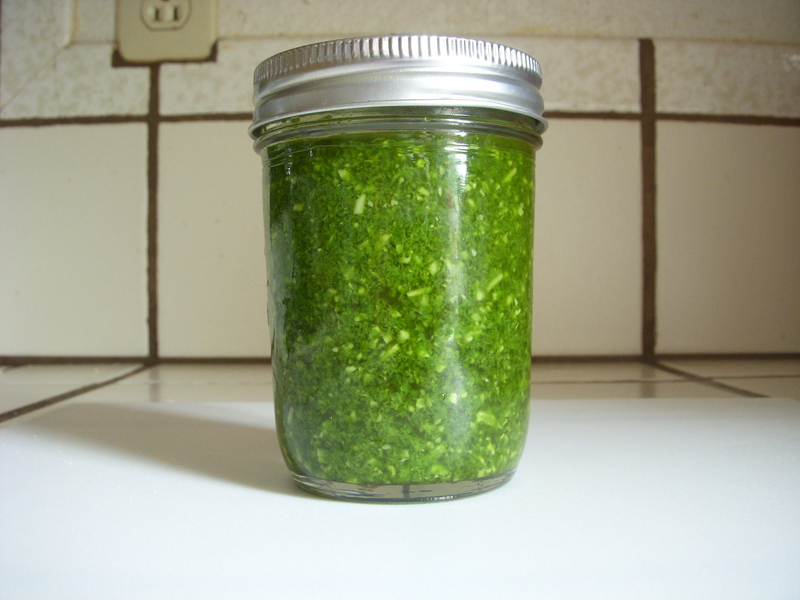 This is so easy to make and so much better than what pre-made dressing you can buy in a store. 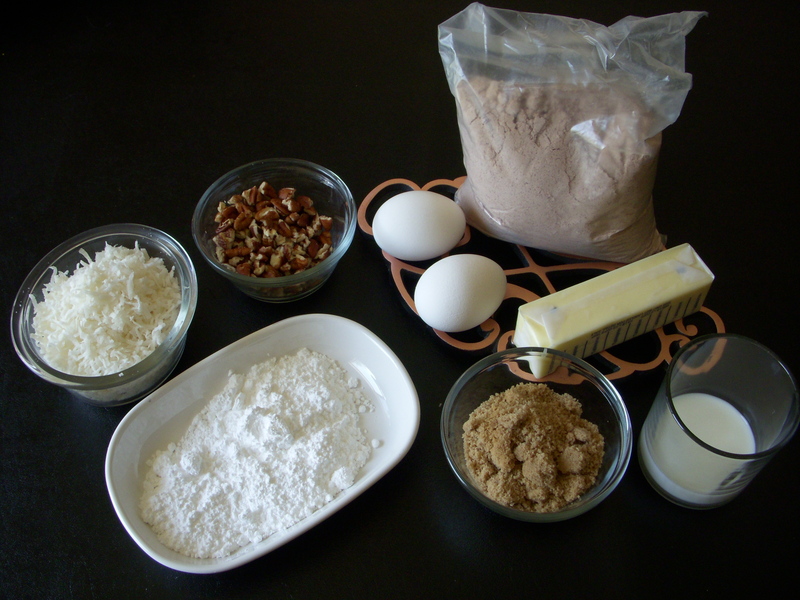 I’m always asked to make this for family gatherings. 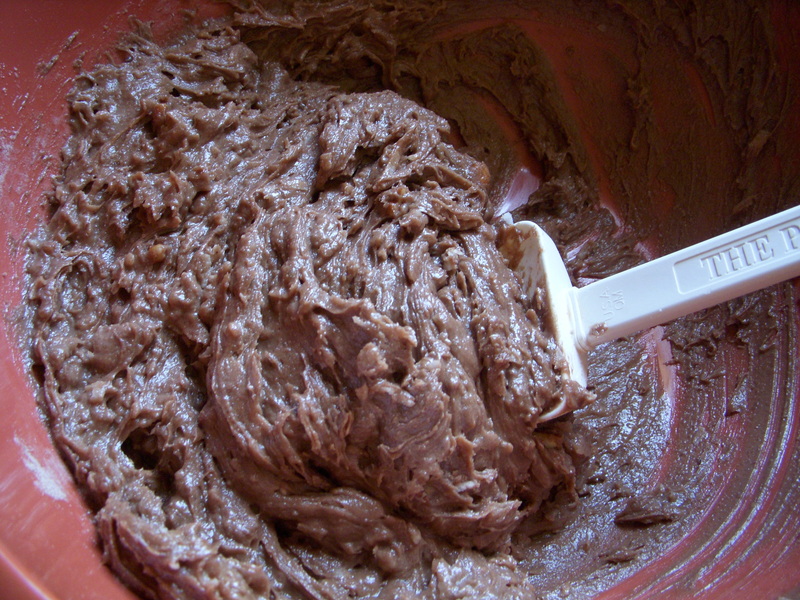 Or thickened as a dip for functions. 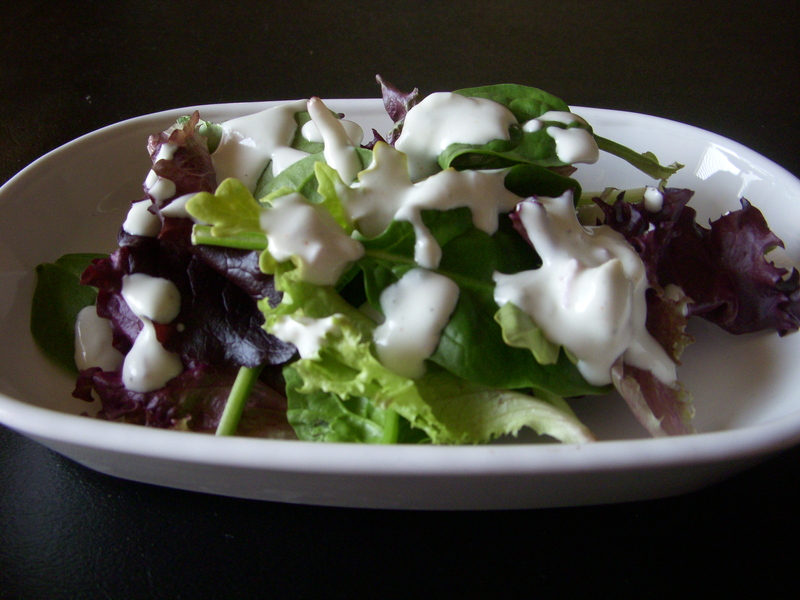 If you’re a blue cheese dressing fanatic, TRY THIS!!! 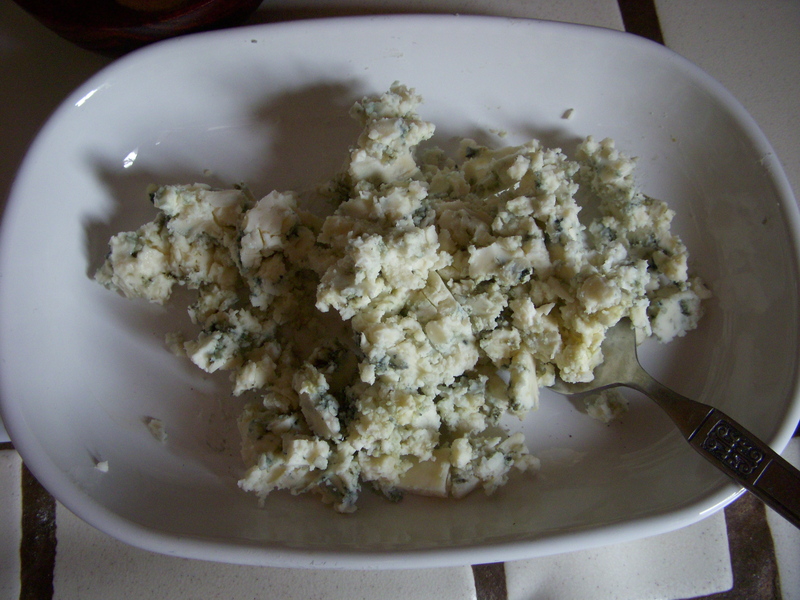 and blend until smooth, or you can put the buttermilk and blue cheese into a bowl and mash with a fork until it’s mixed well. It will still be chunky. 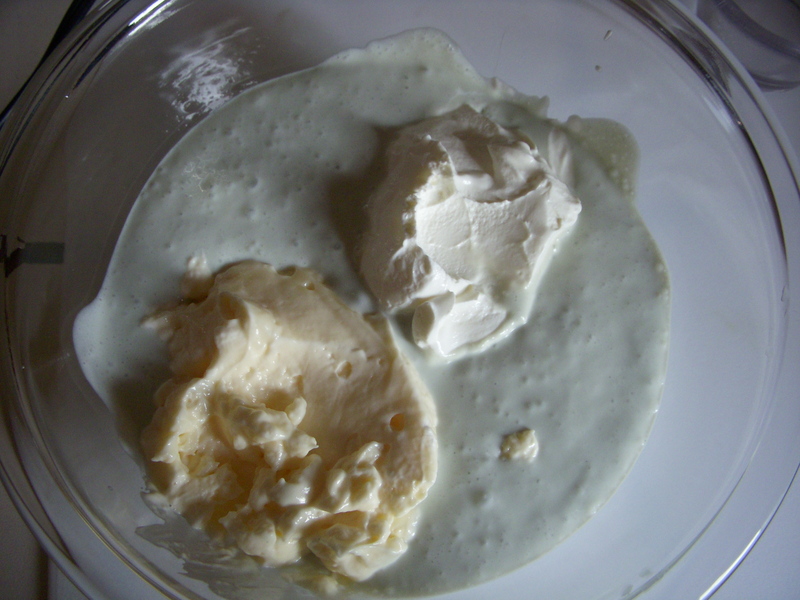 Pour blended cheese into a bowl, then add in the sour cream and mayonnaise. 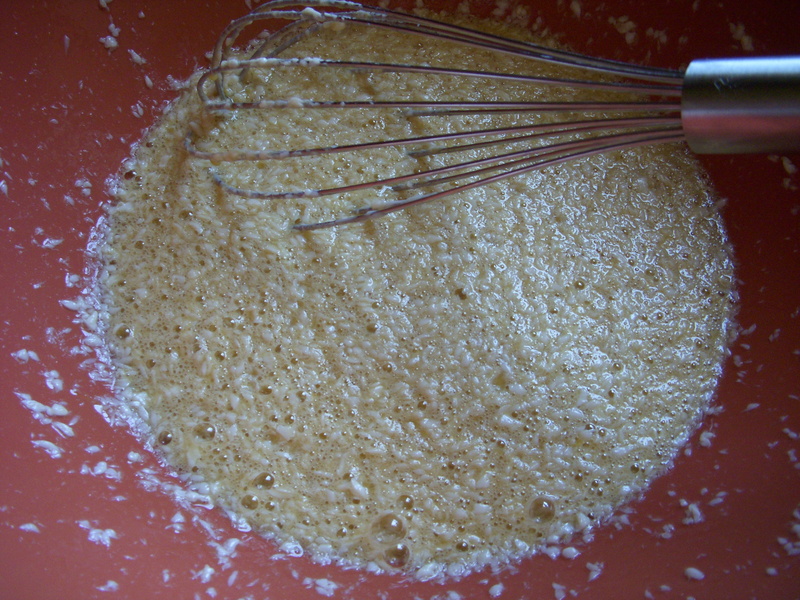 and then whisk until smooth. 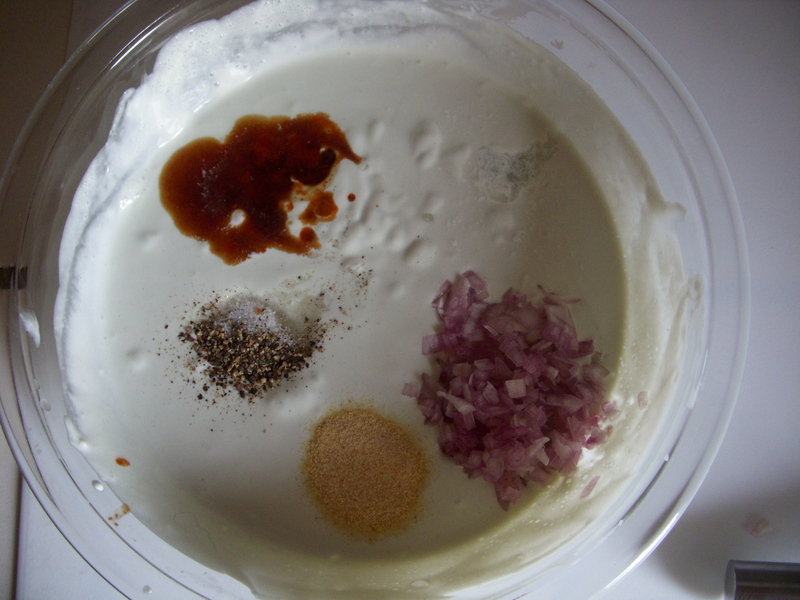 Pour in the worchestershire sauce, hot sauce, vinegar, shallot, garlic powder, sugar, salt and pepper and whisk thoroughly again. Now all you need to do is enjoy! 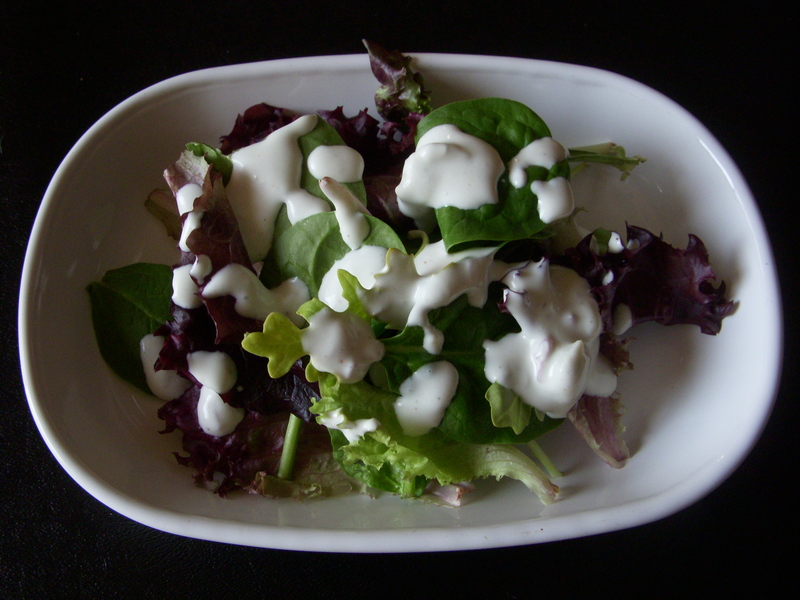 You can use this dressing immediately, although it gets better as the flavors meld. 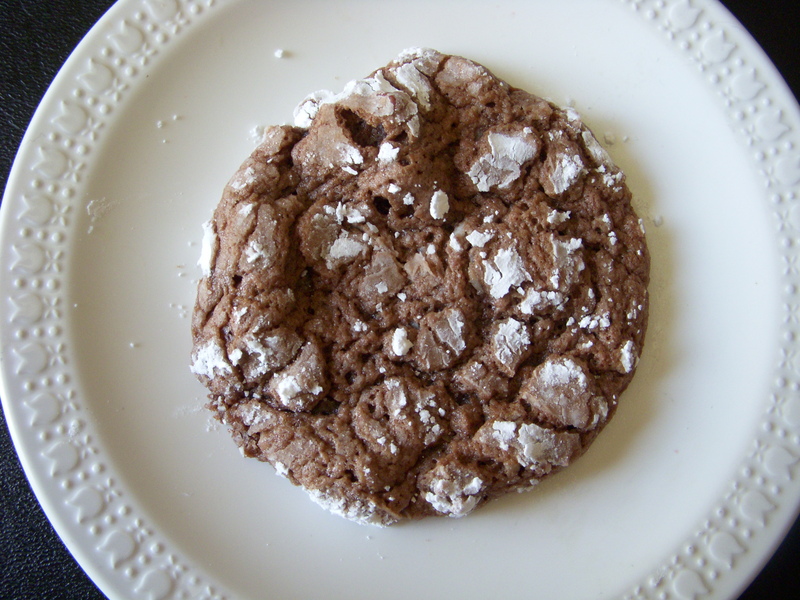 Overnight in the fridge makes a huge difference. 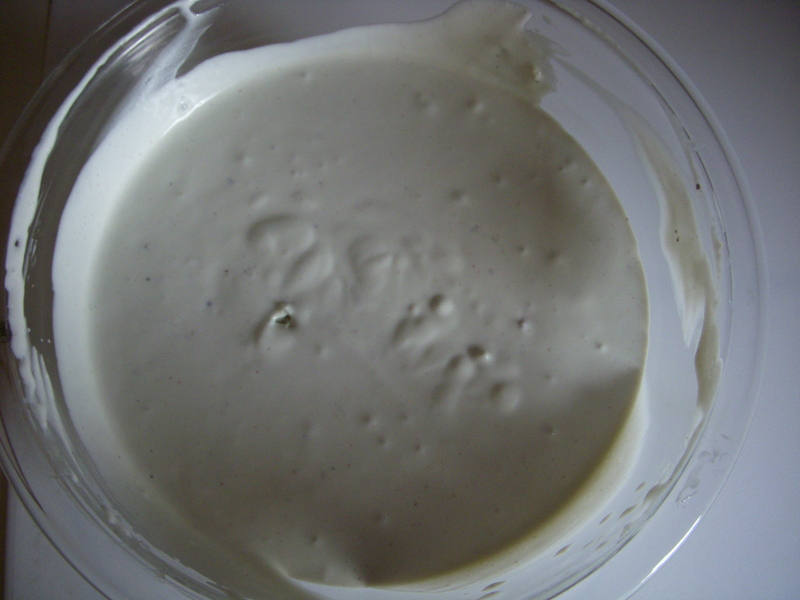 To make it a dip, use only 1/2 cup of buttermilk.